Home / Smartphones / Penvatars: Where Are They? Has Samsung Forgotten About Them? Back in January, it was revealed that Samsung would be enhancing the S-Pen experience with Penvatars as a result of sharing a nice partnership with Marvel. The idea was to replace your cursor with something that users could customize to their own liking (at the time, it was pertaining to the Avengers). However, there’s one problem: it’s the middle of July, and Penvatars are nowhere to be seen. Now, Penvatars were meant to be exclusive for the Galaxy Note 4 and the Galaxy Note Edge. Rumor had it that the Galaxy Note 3 and the Galaxy Note were going to receive it, but that hasn’t been confirmed. In awhile. But more importantly, where are the Penvatars? The last bit of news concerning them was in January. Anything after is either a question on Reddit or Android forums. 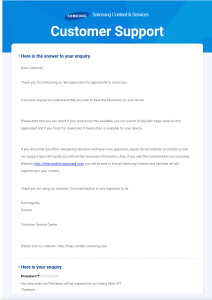 On the XDA forums, one of the users wrote an email to Samsung, hoping to get a quick answer. The reply he received was something he didn’t expect. You would think Customer Support would have some idea of when a feature like that would be available. 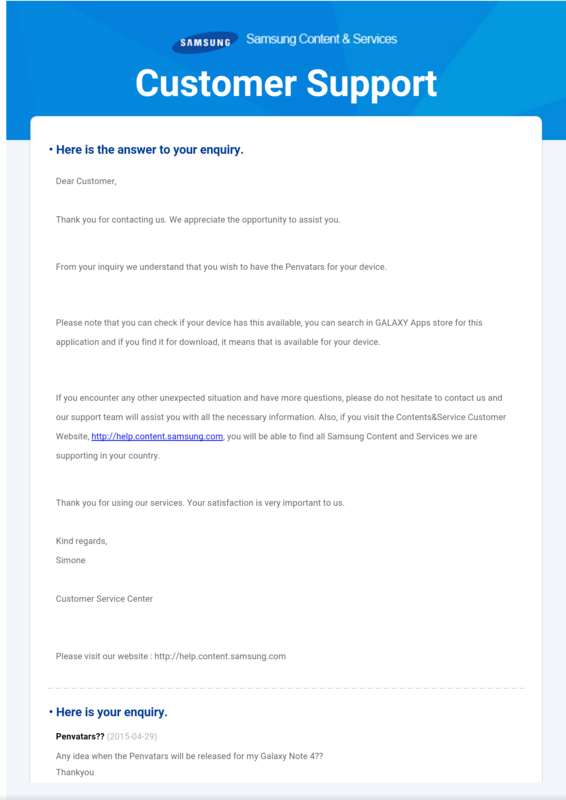 And if you dig a little deeper in the forums, someone mentioned that Samsung said it would be available when the Note 4 received Android’s 5.1.1 Lollipop update. The Note 4 just received this update (in Russia specifically, but has yet to be released for the rest of the globe) and no mention has been made on whether or not the Penvatars were included with the update. It’s unfortunate that there hasn’t been an update on when Penvatars would be available. At this point, this feature may not even see the light of day. In fact, something like this could further increase the popularity of Samsung’s phablets. It’s wishful thinking to believe that Samsung is still perfecting the feature. At the same time, it’s possible to believe that the company gave up on the feature. While we’re waiting for an update on the Penvatar situation, what are your thoughts on this? Let me know in the comments below.